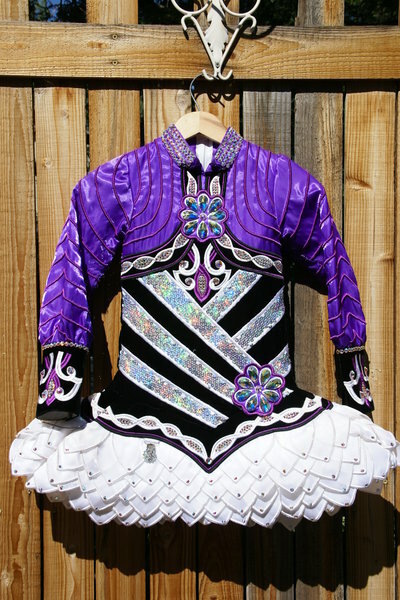 Stunning one-of-a-kind Avoca dress made in 2013, worn by a 2013 Boston World’s competitor. 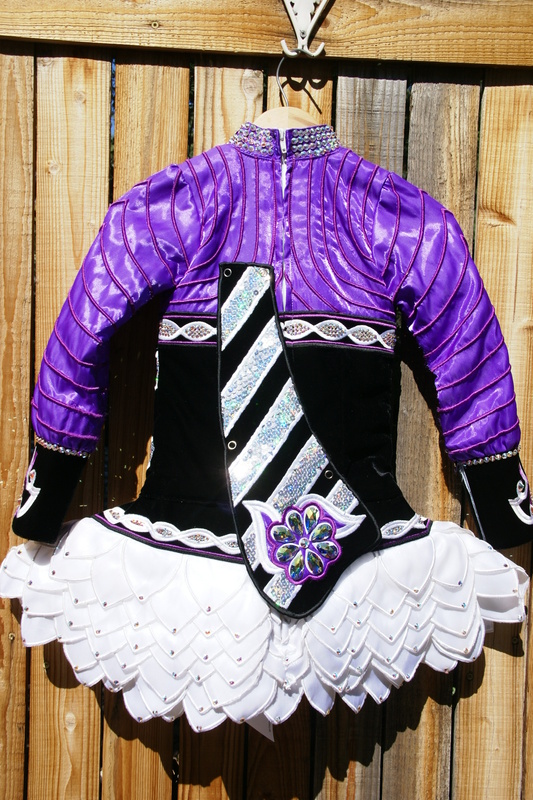 Dress is in top-notch condition and has excellent stage presence. 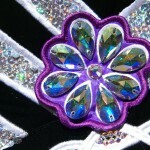 Beautiful purple twinkle satin with tone-on-tone embroidery. 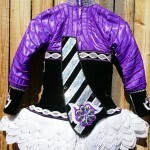 Black velvet bodice features silver sequin criss-cross. 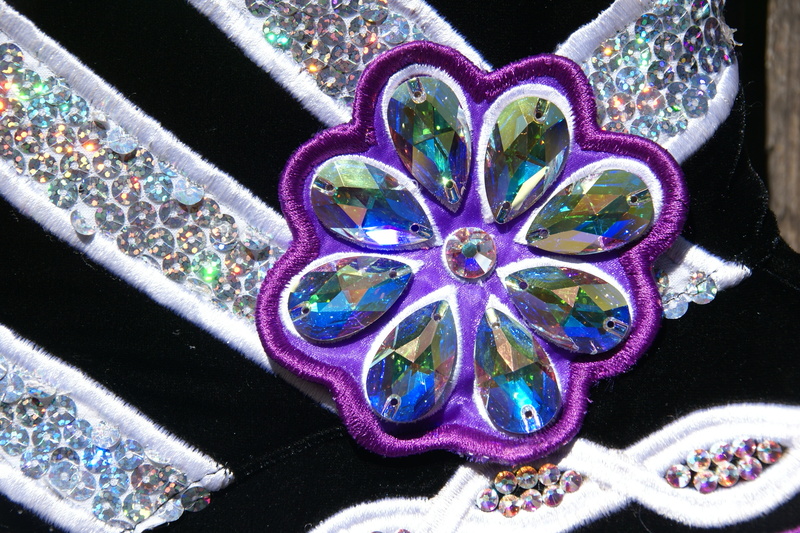 Hundreds of AB Swarovski crystals added throughout, including the white petal skirt. Comes with white kick-pants. Only one owner.